The signs at this house made me chuckle the other day. 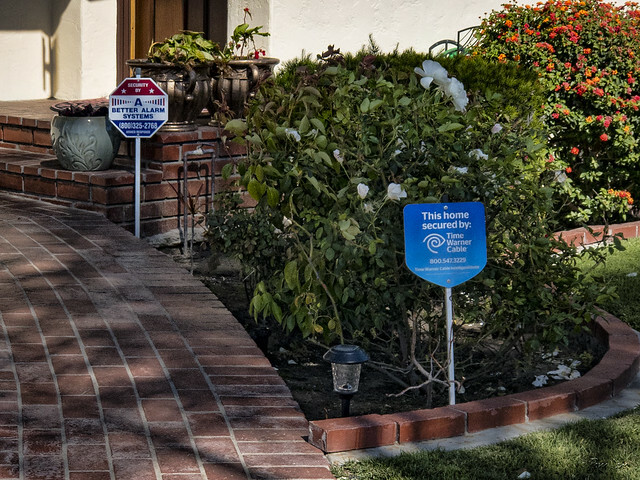 The house is not just protected—it's protected by two different security systems! "I have six locks on my door, all in a row. When I go out, I lock every other one. No matter how long somebody stands there picking the locks, they are always locking three."